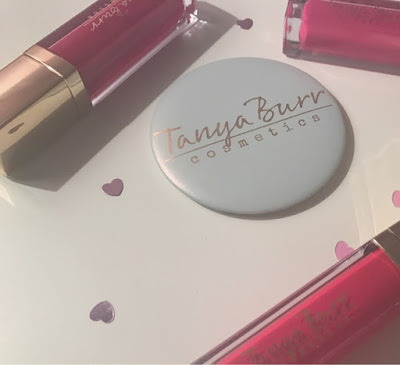 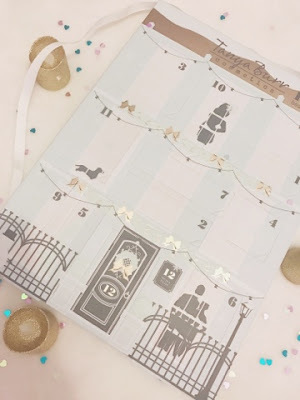 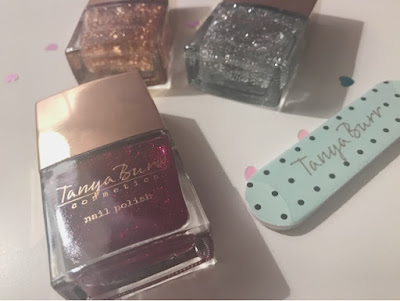 Tanya's advent is great value and contains 12 beauty products which are all sparkly, Christmas treats a girl of any age would love to find in her advent! 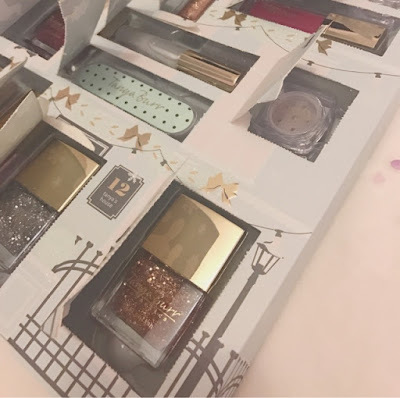 First of all I just love the packaging! 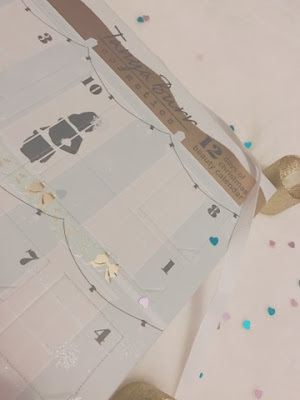 I'm a sucker for pastels and this pale blue and pale pink coloured box complete with gold details is right up my street. I adore the cute house illustration, and that behind the frosty windows you can spy Tanya, Jim and Martha! Inside, you will find three beautiful Christmas glitter polishes Glitters & Gold (a copper gold glitter) Glitter Rain (a sparkling silver) and Sleigh Bells (a true festive red glitter). 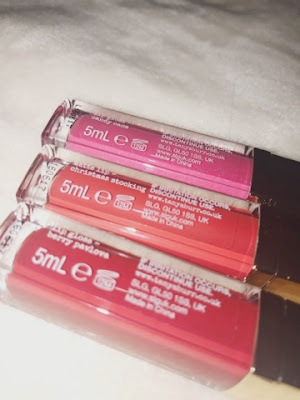 My favourite products are the lip products, which consist of Berry Pavlova (plum berry gloss), Candy Cane (a shimmering deep fuchsia gloss) and my personal hero product Christmas Stocking (a matte, bold red stain). 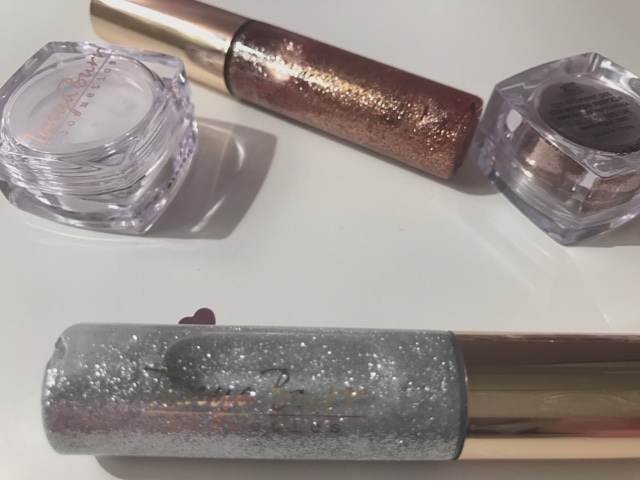 Glitter products feature heavily, with glitter liners Ice Crystals (a silver glitter) and Treasured (a deep gold glitter). Alongside the liners you get two loose glitter pigments in Snow Day (an iridescent sparkle) and Champagne Sparkle (a dark gold). The nail file and mirror are simple but sweet designs ideal to pop into your handbag on the Christmas party night out!